I recently conducted several interviews related to openings in my organization. The interview process provides ample opportunities for improvement and I thought I would share a few observations to help interviewing for your next opening be more successful. First, never assume an email setting up an interview has been received by your candidate. Email systems block emails all the time, especially calendar invitations. Make sure you have confirmation from your candidate that he/she is coming. Second, make sure your candidate knows what needs to be done once he/she arrives at your office. Where is the person supposed to park? How does the person get into your building? If your organization is small, is there someone to greet the candidate? If your organization is large, does the person at the reception desk even know who you are and where to send the candidate once he/she arrives? These may seem like trivial matters, but you only get one first impression (remember the candidates are interviewing you too) and you don’t want that impression to be a disorganized mess. Make sure the candidates know what to expect during the interview process. Will you have them meet with a series of people or just one person? Are you going to ask them to take some sort of assessment? You don’t have to give out all of the details, but make sure you are clear about how much time the candidate needs to commit to the interview process. Finally, begin with the end in mind. Sure, you have a job description and a plan for what work the candidate will be performing when he/she joins the company, but what else are you looking for? Are you looking for someone who can grow into a supervisory role in your group or is your group considered the entry point into the company where people then move into other roles throughout the finance organization? If the former, do you see the candidate being able to grow into that role? If the latter, what skills, while not necessary for the immediate job, could be beneficial to the rest of the department? In a tight labor market, you may not have a lot of candidates to chose from, but if you do, you need to be prepared to think through the differences in the candidates both for the current and future positions in the company. What other tips, both from experienced interviewers and from job candidates, would you like to share with your colleagues? A few quotes and other thoughts have caught my attention lately. Greatness occurs when your children love you, when your critics respect you and when you have peace of mind – Quincy Jones. In today’s world of vitriol from anyone who disagrees with you, I think the best that can be hoped for is the seething silence of hatred from your critics. Does that mean greatness is dead and the best we can hope for is goodness? Then again, maybe we could use a little more goodness in the world. Zero Trust – The latest trend in cybersecurity or a commentary on society? Hate is too great a burden to bear. It injures the hater more than it injures the hated – Coretta Scott King. Hatred would have been easier. With hatred, I would have known what to do. Hatred is clear, metallic, one-handed, unwavering; unlike love – Margaret Atwood. Maybe that is why there is so much hate in 256 characters – it’s easier. People used to define themselves by what they were for; now, they define themselves by what they are against – Ernie Brown. It sure is easier to be against something than for something. If you’re against something, all you have to be accountable for is saying you’re against it. You don’t actually have to accomplish anything. All you need is love – John Lennon. And kitten videos. At least there are some redeeming qualities about social media. As a supervisor, you are asked to evaluate and compensate all of the employees in your organization. When it comes to compensation discussions, if you are only talking about salary, you are doing a disservice to both your employees and your organization. Benefits are a portion of compensation too often undersold by supervisors and, therefore, undervalued by employees. As a supervisor, part of your job is to retain employees and you can’t do that job right if the employees don’t understand and value the total compensation they are receiving. I can hear everyone saying, “but isn’t that HR’s job – to explain the value of benefits?” My answer is yes and it is your job too. In fact, as a CPA, we are often in a better position than HR to understand and explain the financial aspect of benefits, let alone other supervisors. Simply put, there is no excuse for not spending time helping your staff understand the value of their benefits. Well, there is one excuse – you don’t understand how the benefits work either. If that is the case, it is time to bone up on the benefits your organization offers. Here are a few things to make sure you understand and explain to your employees. Does your company offer a 401(k) plan? Is there a company match? How does the match work? How much does the employee need to contribute to get the maximum match available to him/her? If you aren’t explaining this, you are letting your employee leave money on the table that he/she could be earning. After those basics, you need to go a little deeper. What are the investment options in the 401(k) plan? What are the fees? If you don’t like the answers, you should be advocating with HR to give all of the organization’s employees better choices. It doesn’t have to be a big company to have good choices and a good price for employees. The next question is about medical benefits. Does your company only offer one choice or are there options? If options are available, you need to understand the differences. What are the differences in deductibles, co-insurance and employee contributions, and what do employees get for those differences? Your employees get to make the choice, but if you can’t even tell them the differences, how are they supposed to choose? The next question depends on the kind of medical plans available. If your company offers a high-deductible plan, then it might also offer a Health Savings Account (HSA) benefit. HSAs are great, but you have to be able to explain the triple tax benefit of HSAs – a tax deduction on amounts contributed, no taxes on earnings and no taxes when amounts are withdrawn if the withdrawals are used to pay for medical expenses. That is a better tax deal than a traditional or Roth 401(k) and one that CPA supervisors have a better chance to explain than any other supervisor in the world. You also need to understand other benefits that may be offered – disability insurance, life insurance, flexible spending accounts. Some may be great deals and others may not depending on each employee’s individual circumstances. The key is to know what is offered, because if you can’t help your employees value their benefits, your employees might leave for a different organization that doesn’t even offer as much value and then you are both worse off. Benjamin Franklin once wrote, “Nothing is certain except death and taxes.” The tax law passed in December 2017, the Tax Cuts and Jobs Act, may just be the law that proves that reference to taxes. Though there were a number of thought-to-be positive parts of the new law, some of the changes may, indeed, actually increase one’s tax bill without proper planning. Two areas should be of concern to many. The first is the elimination of the personal exemption, formerly $4,050 per person. The standard deduction for individual income tax filers was raised substantially, from $12,700 to $24,000 for married couples filing jointly and for surviving spouses, from $6,350 to $12,000 for single filers and for married filing separately, and from $9,350 to $18,000 for heads of household. A family of four, therefore, would be losing personal exemption deductions of $16,200 while picking up only $11,300 more in the standard deduction (not considering possible extra tax reductions for the child tax credit). This change could result in an increase in income tax liability. Earlier this year, employers were given lower income tax withholding tables without considering this issue, meaning some employees are paying in less now, but could be owing more than they did in a prior year. All employees should certainly analyze their situation to be sure they aren’t caught by surprise when their tax return is filed. A second area of concern and an even bigger change with respect to the standard deduction may catch upper income tax filers by surprise. Those taxpayers who normally itemize deductions may no longer have enough to itemize, considering the higher standard deductions above. Without planning, that would mean that one’s home mortgage interest expense, sales and property tax deductions, as well as charitable contributions may no longer specifically provide income tax relief. Income tax advisors should be consulted about all strategies that might helpfully affect one’s income tax liability, but there are three potential strategies for making the most of potential income tax deductions. Deduction bunching: For most taxpayers who itemize, this may be the simplest strategy for all potential itemized deductions. Keeping in mind that miscellaneous itemized deductions, such as employee business expenses, moving expenses, tax preparation expenses, brokerage account expenses, etc., are no longer deductible. There may be some saving grace for property taxes, sales tax on large purchases (automobiles, boats, etc.) and charitable contributions. By “doubling up” on deductions in these categories every other year, postponing or advancing big ticket purchases from one year to another or moving one year’s deductible expenses into or out of the next tax year (and, therefore, paying two years’ deductions in one year), some deductible itemized deductions may be salvaged every other year. Strategy #2, a little more complicated, is using a donor-advised fund in a community foundation, such as the Waco Foundation, for charitable donations. By giving two or more years’ of donations to the donor-advised fund, the multiple-year charitable donation may allow a large itemized deduction in one year and then the community foundation can distribute the funds to the donor’s charities in the following years as the donor directs. Strategy #3 would be restricted to individuals over 70½ who are being required to take distributions (Required Minimum Distributions or RMDs) from their Individual Retirement Accounts (IRAs). Such RMDs normally add to taxable income; however, if the retired taxpayer directs the administrator of his/her IRA to distribute some or all of his/her IRA directly to the charity in the form of a Qualified Charitable Distribution (QCD), the distribution will NOT be taxable to the individual. If the taxpayer had taken the distribution into his/her personal income and THEN given to charity, he/she would have income to report and would also have a charitable deduction, but if the taxpayer is not able to itemize deductions, he/she would be accounting for taxable income without an offsetting deduction. By using the QCD, the taxable income is avoided. With that avoidance comes reduced income and income tax, and the reduction could reduce future Medicare premiums, which are based on a taxpayer’s prior year’s income. Reducing reportable income could also result in increased deductions (which must exceed a percentage of reportable income) and tax savings from reducing the amount of Social Security income subject to tax. Not every charitable organization is qualified to receive a QCD from an IRA or a donation from a donor-advised fund in a tax-advantaged way. For instance, organizations such as supporting foundations may not be able accept these types of donations, and taxpayers and their IRA administrators should be wary of this small wrinkle. Also, year-end paperwork from the IRA administrator may not clearly indicate the nature of the IRA distribution, so taxpayers need to be cautious about clearly explaining IRA charitable distributions to their tax preparers. The bottom line “takeaway” from the issue of higher standard deductions is that taxpayers should review their 2018 tax situation well before year end and consult their tax advisors for the best tax minimization strategy. Though fees paid to personal tax advisors are no longer deductible, the potential tax savings from a careful review of the new law’s impact on one’s personal situation could be well worth the advisor’s time and fee. We may not be able to avoid death, but there is still a way to avoid, or at least legally minimize, personal income taxes. 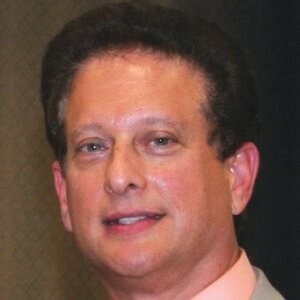 Harry Harelik is a graduate of the University of Texas at Austin, where he earned his BBA in accounting in 1971 and his MPA in taxation in 1972. He earned his CPA designation in 1974. In addition to previously being a 30 year local self-employed CPA, he began work as the Executive Director of the McLennan Community College Foundation in 2001. He earned his CFRE (certified fund raising executive) certification in 2006 and was designated as a chartered global management accountant (CGMA) in 2014. He served as executive director of the McLennan Community College Foundation for almost 16 years until his retirement in 2017. Harry has continued his work in the nonprofit community as a consultant to nonprofit organizations in fundraising and governance and is teaching courses at Baylor University as part of their Continuing Education nonprofit management offerings and, as well, is an adjunct accounting faculty member at McLennan Community College. He also continues to consult in the community on income tax and financial planning issues. He has spoken on various nonprofit topics at the Nonprofit Network and is a frequent contributing columnist for the Waco Tribune Herald. Harry is a member and past president of The Central Texas Chapter of CPAs, and is a member of the Texas Society of CPAs, the American Institute of CPAs and the Heart of Texas Estate Planning Council. He is president of the Waco Symphony Association; a life member of the board of Keep Waco Beautiful; and a patron of the Waco Civic Theatre, the Waco Community Band, the MCC Visual and Performing Arts and the Baylor Theatre, with a strong interest in the cultural life of McLennan County and the city of Waco. The Texas Society of CPAs held its Advocacy Day and Midyear Board and Members Meeting in Austin the last week in January. In addition to visiting with our legislators to remind them of the importance of continuing the Texas State Board of Public Accountancy and CPA licensure in Texas, we got to hear from Mark Peterson, AICPA executive vice president – advocacy, about what we might expect to see coming out of Washington, D.C.
With the major parties splitting control of the House, Senate and the presidency, the likelihood of anything big happening (think Affordable Care Act, Dodd Frank Act or Tax Cuts and Jobs Act that happened when one party controlled all three) is small. But the split leadership does have implications on what we can expect to see or not see in the coming couple of years. Democratic control of the House means changes to SOX 404(b) requirements, such as changing the metrics for companies exempt from compliance, are less likely to occur. PCAOB will continue to push to make disciplinary proceedings public even though such disclosure could negatively impact due process for affected firms. There will be continued interest in anti-money laundering legislation, which sounds fine, except that innocent CPAs may get caught in the crossfire if the legislation is not written well. Expect to see a push to make arbitration agreements unenforceable. Whether this is good or bad depends on your perspective, but no matter what your perspective is, businesses, not just CPAs, will be very interested in this issue. Immigration is clearly a hot-button issue and questions about how many people with special skills, including backgrounds in artificial intelligence, data analytics and other skills highly sought after by audit and accounting firms, should be allowed to come to the U.S. under special visa programs will likely get caught up in any movement, or lack thereof, on the issue. Finally, CPAs wondering what services they can and should provide to legal Marijuana businesses in states where the law has changed might see some movement. Bills have been filed to amend the federal controlled substances act to state that if you comply with state law, you are not in violation of federal law. Like TXCPA in Austin, AICPA works hard on your behalf in Washington, but nothing can replace the personal touch of a constituent talking to their legislator. If you are interested in any of these issues, contact your representative and senators and let them know how you feel. While there are a few CPA politicians, many CPAs would rather have a root canal than engage in politics. We want to take care of our clients, manage our businesses and, most importantly, get things done. Most of the time, that works and CPAs can go about their business without really worrying about what is happening in the political arena, but this year is not like most years. On the national level, CPAs are having to deal not only with significant changes to the tax code due to changes passed by politicians, they are also having to deal with no one at the IRS being able to help with questions. The simple facts are the IRS is caught up in the government shutdown, non-essential employees have not been furloughed and apparently answering questions about the new tax law is not considered essential. I guess we can at least be happy that giving refunds is considered essential, so the IRS will be recalling workers to process those checks and deposits. CPAs may not know what to put in the return, but once the return is filed, our clients will get their refund. While the need to ask the IRS questions occurs every year, this year is the worst possible year for a shutdown, because no one has ever dealt with these provisions before. There is no other CPA who might be able to help in place of the IRS, because the CPA dealt with the issue in the past. With no one to answer questions, there will be a lot of people flying blind as to how to get things done right until things get fixed. At the state level, here in Texas, the politicians will decide if they want to retain the Texas State Board of Public Accountancy (TSBPA) and, therefore, your CPA license. If the Board is not retained, then Texas will have no state-licensed CPAs. The good news is the sunset commission has recommended keeping TSBPA. The better news is the governor, lieutenant governor and speaker of the House seem to be getting along and focusing on mainline issues rather than controversial ones. The hope is that such cooperation continues and we don’t go through what doctors did two years ago when it took a special extended session to get the Medical Board retained so doctors could continue to be licensed in the state. This might cause you to wonder how CPAs can do their job and deal with politics, but that is where the Texas Society of CPAs (TSCPA) helps. TSCPA advocates for CPAs with politicians every day, so CPAs can focus on their clients and businesses. If you want to see what TSCPA is doing for you, you can follow the Tax Policy Committee on the TSCPA Exchange to see how they are advocating for you with the IRS. At the state level, you can follow what’s going on at the legislative session by reading Last Week in the Legislature published every Friday. As the saying goes, just because you don’t take an interest in politics doesn’t mean politics won’t take an interest in you, but in the case of CPAs, we have TSCPA on our side to help when politics gets interested in us.